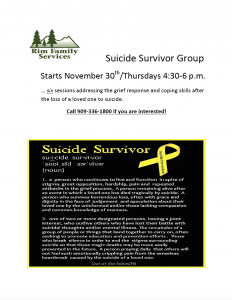 The Suicide Survivors Group starts at the end of the month! - Rim Family Services, Inc. 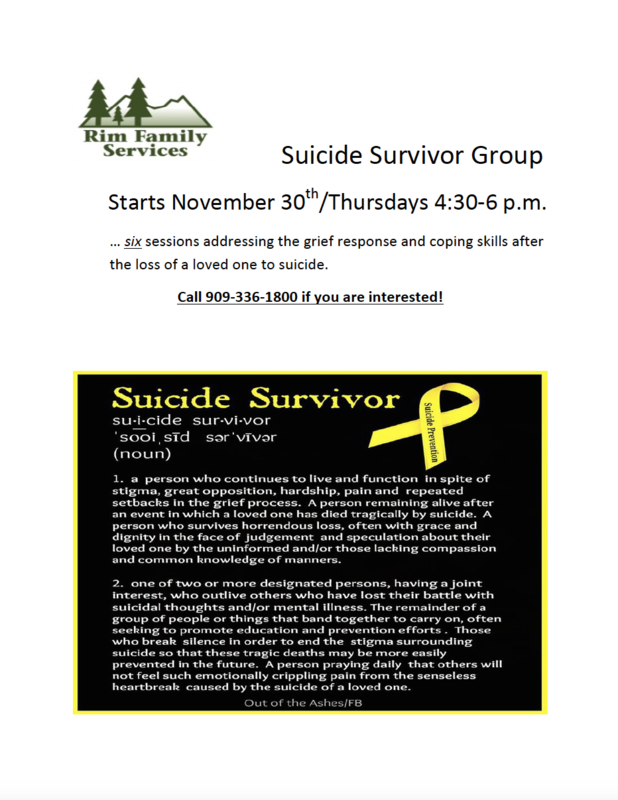 If you have lost someone you love to suicide, please consider joining the Suicide Survivors Group at Rim Family Services. The group is a 6 session course meant to equip you with the coping skills to process the grief caused by your loss. The group will start on November 30th and will be located at our Skyforest office (28545 State Highway 18, Skyforest CA). If you are interested, please give us a call at (909) 336-1800.